One of the century`s great classics of Jewish historiography. This first volume of the two-volume set takes the story down to the middle of the thirteen century in Castile. One of the century`s great classics of Jewish historiography. The second volume of Professor Baer`s monumental work tells the tragic story of the dissolution of the great Spanish Jewish community. 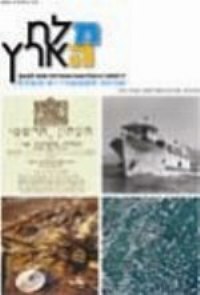 Thirty outstanding papers on Assyrian history and its connection and impact on Biblical Israel. Ahad Ha-Am's “spiritual Zionism” is still as capable, as it was fifty years ago, of giving inspiration and guidance to a large segment of the Jewry. The definitive work on Judaism`s approach to infertility, pregnancy loss, and adoption. The books deals with various aspects of art in ancient Palestine: conquest of the East by Hellenism, Leda sarcophagus, general problems of reconstruction of the past through archaelogy. Ten contributions from various perspectives on this unique find: from the departments of Bible, Archaeology, Hebrew Philology, Linguistics, and Comparative Religion, by E.Y. Kutscher, Yigael Yudin, N. Avigad, Jacob Light, M. H. Segal, Chaim Rabin, Shemaryahu Talmon, Z. Ben-Hayyim, and David Flusser. This book is a valuable contribution to our understanding of “the forgotten million” that once comprised the great Jewish communities of North Africa. It covers a period of more than two thousand years in the history of those communities. Two-volume set of U. Cassuto's Biblical and Ancient Oriental Texts essays. This book is a classic account of Jewish tragedy, faith, hope, and triumph. Published originally in 1947, it is one of the first works to deal with the horrors and the heroism of the Holocaust years. To keep aglow the candles of human sympathy, the editor has compiled nearly a thousand items of significant non-Jewish literary and historical expression about the Jews. This volume includes twenty-three short stories and episodes from fourteen different national literatures. The twenty-five short chapters on Jewish Literature open with the fall of Jerusalem in the year 70 of the current era, and end with the death of Moses Mendelssohn in 1786. This book has been compiled with the definite aim of providing an elementary manual of Jewish literature both for home and school use. This book deals with the origins of chess from before 500 A.D. and its appearance in Jewish sources and literature until the middle of the 19th century. The book presents seven works based on the biblical story. All of these works are unmistakably Spanish, though many of them are also undeniably Jewish or Muslim. This collection of articles in Jewish Studies has been authored by, what many consider, the most important scholar of the rabbinic life and literature in the post WWII period. Grace Goldin makes the character of Ruth more vivid in her poetry. Two classical idioms, that of the Jewish imagination, and that of English verse, are strikingly joined in the book. Community and Polity explores in depth the developments in the American Jewish community in the post-WWII period. Like the first edition, it is designed to serve two purposes: to provide a basic survey of the structure and functions of the American Jewish community and to suggest how that community should be understood as a polity that is not a state but is no less real from a political perspective. Many centuries ago a thoughtful and scholarly Jew asked the question: Why do the righteous suffer? Anxious to help us reach out for an answer, a brilliant young scholar, Martin A. Cohen, has prepared a translation of Consolaзam as tribulaзoens de Israel, a history of the Jews written by a Portuguese Marrano who had witnessed the tragic events that befell his people in Portugal in the first half of the sixteenth century. The author of this interesting work, has little sympathy with that subjective criticism which prescribes beforehand an author's scheme of composition and then regards all contrary to this scheme as interpolations or supplements. A carefully selected set of critical and biographical essays that offer analyses of a spectrum of poems, stories, historical and critical works by selected Jewish writers, who witnessed the presence of humanistic values in the most ghastly historical circumstances of the twentieth century. A revealing look at the reciprocal relationship between the Halakha as an abstract system and the realities of the Jewish life. In Does God Belong in the Bedroom? Rabbi Michael Gold turns to the Torah, the wisdom of the rabbis of the Talmud, the Midrash, and other classic Jewish sources. More than a study of texts, the book presents readers with a frank and honest approach to sexual ethics. The story of an extraordinary personality in the history of the Jewish people. Abravanel symbolizes a life of a true son of G-d`s chosen people. The noted historian Cecil Roth presents the first full-length biography of Dona Gracia in the English language. Banker, diplomat, philanthropist, defender of her people and promoter of its culture, she was revered by her sixteenth-century contemporaries and earned the highest esteem among Jewish historians in succeeding generations. The fifth and final JPS commentary on the last book of the Torah. Although originally published more then 50 years ago, this little Cassuto's book is still probably the best, most focused attack on Wellhausen's Documentary Hypothesis and a powerful defense of the integrity of the biblical text. The very detailed handling of the original languages of Daniel (Hebrew and Aramaic) and frequent references to scholarly works in Latin, French, and German make this the commentary for scholars. Electronic edition of one of the author's finest achievements. The last of the commentaries rendered into English, this Cassuto's work ranks among the finest modern contributions to the treasury of Biblical learning. Education in Israel gives a full account of the present school system in Israel and should be of interest to educationists of the modern world. For Israel is a microcosm of the modern world. This superbly documented study, enriched by anecdotes and illustrations, portrays the first genuine encounter of Jewish society with emancipation. 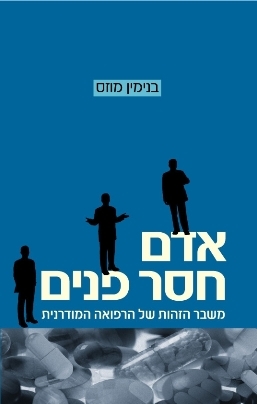 A facinated exploration of the tie-in between hallachic decision making process and politics through the analysis of the disputes of R. Yehoshua and R. Elazar haModi'in in Tractate Megillah. Ethics of Responsibility bridges the gap between liberal Jewish philosophy and modern Orthodoxy. It is thoughtful reading for both the Jewish and non-Jewish scholar, teacher, and for all readers interested in the study of ethics and morality. Masterly commentary on the second book of the Bible by eminent Jewish scholar. A straightforward, engaging commentary on the Book of Kohelet. Extraodinary book which retained its freshness and technical insight after almost a century of existance. A commentary on one of the most interesting for the modern reader books of the Bible. Many traces of the old modes of life and thought survive in the form of folklore. A few such relics of ruder times, as they are preserved like fossils in the Old Testament, are illustrated and explained by the author in this book. In the third volume The Keepers of the Threshold, the Bird-Sanctuary, The Silent Widow, and other stories are discussed. Many traces of the old modes of life and thought survive in the form of folklore. A few such relics of ruder times, as they are preserved like fossils in the Old Testament, are illustrated and explained by the author in this book. The first volume covers the folklore ranging from the creation of man to the heirship of Jacob. Many traces of the old modes of life and thought survive in the form of folklore. A few such relics of ruder times, as they are preserved like fossils in the Old Testament, are illustrated and explained by the author in this book. The second volume covers Jacob and the kidskins, the passage through the Red Sea, the judgment of Solomon, and other stories. The Second World War was a crucial period in the history of Jewish Palestine. Between 1939 and 1945, the Zionist movement and Jewish Palestine underwent considerable transformation. This carefully documented work recounts the events of that period of time. One of the greatest masterpieces of Jewish Biblical scholarship directed against the Documentary Hypothesis or so-called Higher Critisism. By extending his method of exegesis in this volume to another section of the Torah, Cassuto indirectly buttressed his theories with new evidence of the inherent rightness of his approach. A major contribution to Ugaritic scholarship, The Goddess Anath--Cassuto's work on Canaanite Epics of the Patriarchal Age--is a classic authored by one of the greatest Bible scholars. An electronic edition of Skinner's main work. There is a glamour and mystery about the Feast of Lights. Miss Solis-Cohen takes up the challenge of Hanukkah to the modern Jew and tries to explain it. 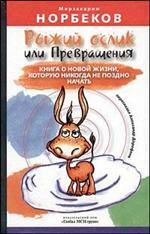 The book will appeal to adults and to children, to those who seek knowledge on the holiday's origin and history. Mahler's masterful sociological study is drawn from a variety of sources, including some Polish archival material that was later destroyed by the Nazis. This classic work, originally published in both Yiddish and Hebrew, is a prime example of movements that shaped the spiritual and cultural life of modern Jewry. This volume includes specimens which, either as complete texts or as extracts, are representative of the type of literature known as Ethical Wills. The testaments give an intimate insight into the personal religion of Jews and Jewish experience through many centuries. 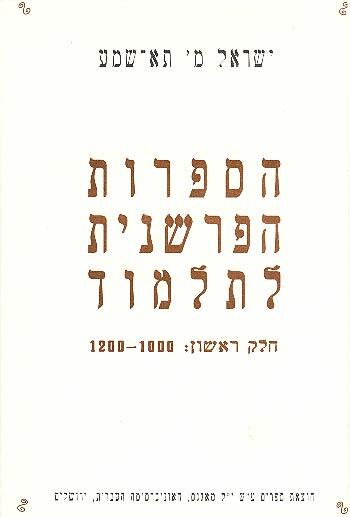 The extraordinary story of the Hebrew language is the subject of this book. Multi-platform, electronic edition of masoretic text of the Holy Scriptures placed next to classic Jewish translation. 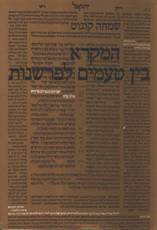 This is a Study Edition of the traditional Masoretic text placed next to the classic "word-for-word" Jewish translation by JPS; it features the most authoritative Hebrew text - based on the Leningrad Codex - complete with cantillation marks, vocalization and verse numbers. Madden's work constitutes ". . . a record of many rare or unique examples of Jewish art, preserving spontaneity and directness in our contact with the Jewish past." "... a single volume (containing) the multitude of details of nearly 40 centuries of Jewish history (provided) with conciseness, clarity, and completeness. . . entire work is informed by a broad philosophic grasp of the subject, a rare balance and objectivity of treatment, and a warm love for the Jewish people and its heritage." A History of the Jews in Russia and Poland from the pen of S. M. Dubnow (based upon a work in Russian which was especially prepared for JPS) needs neither justification nor recommendation. The work is divided into thee volumes. The first volume contains the history of the Jews of Russia and Poland from its beginnings until 1825. A History of the Jews in Russia and Poland from the pen of S. M. Dubnow (based upon a work in Russian which was especially prepared for JPS) needs neither justification nor recommendation. The work is divided into thee volumes. The second volume treats of the history of Russian Jewry from the death of Alexander I (1825) until the death of Alexander III (1894). History of the Jews in Russia and Poland, Vol. 3: From the Accession of Nicholas II until 1916. Bibliography and Index. A History of the Jews in Russia and Poland from the pen of S. M. Dubnow (based upon a work in Russian which was especially prepared for JPS) needs neither justification nor recommendation. The work is divided into thee volumes. The third and concluding volume deals with the reign of Nicholas II., the last of the Romanovs, and also contains the bibliographical apparatus, the maps, the index, and other supplementary material. A condensed reproduction of the first comprehensive attempt to write the history of the Jews as the history of a living people and from a Jewish point of view. The first volume covers the period from the entry of Israelite tribes into the land of Canaan to the settlement of the Judeans in Egypt. A condensed reproduction of the first comprehensive attempt to write the history of the Jews as the history of a living people and from a Jewish point of view. The second volume covers the period from the reign of Hyrcanus to the completion of the Babylonian Talmud. A condensed reproduction of the first comprehensive attempt to write the history of the Jews as the history of a living people and from a Jewish point of view. The third volume covers the period from the revolt against the Zendik to the capture of St. Jean d'Acreby by the Mahometans. A condensed reproduction of the first comprehensive attempt to write the history of the Jews as the history of a living people and from a Jewish point of view. The fourth volume covers the period from the rise of the Kabbala to the permanent settlement of the Marranos in Holland. A condensed reproduction of the first comprehensive attempt to write the history of the Jews as the history of a living people and from a Jewish point of view. The fifth volume covers the period from the Chmielnicki Persecution of the Jews in Poland to the Present Time. A condensed reproduction of the first comprehensive attempt to write the history of the Jews as the history of a living people and from a Jewish point of view. The sixth volume contains a memoir of the author by Dr. Philipp Bloch, a chronological table of Jewish history, an index to the whole work, and four maps. The most recent addition to the JPS Bible Commentary series covers the varied selections from the Nevi'im that comprise the haftarot, chanted on Sabbaths and holy days in synagogues. The author has taken up in connection with the first two of the immortal Twelve, many questions that concern just as closely the prophetic books. It is especially felt in the Introduction; in fact Harper's introduction to Amos and Hosea is really an introduction to Prophecy as such. For all the talk about Bible being a source of Western ethics, Mitchell's is one of the very few books extant that pays more then a lip service to this concept. Long the standard English work on the subject, now is prepared to work interactively with Hebrew-English Tanakh: the Jewish Bible. The classic work on the field. Not for beginners; for those interested in a more historical and critical study of Talmud and Midrash. Israel and the Nations is a handbook of Jewish apologetics. 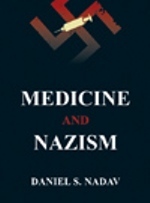 The author's primary goal was to put together all the arguments of Jew-baiting and to explain their nature and origin. This work is a source of information and reference for all those who are in quest of enlightenment. "The most valuable general modern work (on the subject) . . . "
This volume not only seeks to provide pleasurable reading but also enables the reader to grasp Jerusalem's unique role in the history of mankind. Those who read this book will encounter Jerusalem with eyes that see and hearts that understand. Michael Brown`s landmark study offers an unusual perspective on the origins of Canadian-Jewish assimilation in Anglo-Canada and the fear and insecurity that Canadian Jews experienced under the French Canadians. Joseph Jacobs was a thinker and writer of unusual breadth and versatility. Among the subjects to which he gave his attention was the comparative distribution of Jewish ability, as the result of researches he had undertaken in association with Sir Francis Galton. The present work was the natural outcome of these studies. 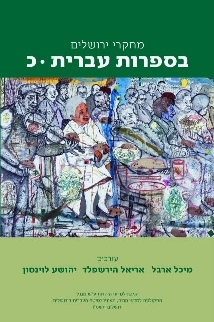 The book presents a variety of recipes from foreign countries and recipes for the Sabbath and festivals, all complying with the Jewish dietary laws. Every recipe has been tested by the author. This essay exhibits in a remarkably striking way the author's art of making “all things seem fresh and new, important and attractive.” The author attempts, for the first time, a psychologic characterization of Jewish history. He endeavors to demonstrate the inner connection between events, and develop the ideas that underlie them. This work is a study of a few typical “Reform Movements” or heresies in the history of Catholicism during the Middle Ages and of Protestantism during the Reformation era. It has been undertaken with a view to describing and analyzing the contributions by Jews and Judaism to the rise and development of these movements. A sweeping view of Jewish historical and cultural experience. Written in the end of the 19th century by an extremly astute historian and a storyteller, this volume will assist readers in better understanding the position of Jews in today's world as well. In Jewish Pioneers and Patriots, Lee M. Friedman has unearthed an amazing store of fresh information about the connections of the Jews with America from the times even before the Pilgrims landed at Plymouth down to the first World War. 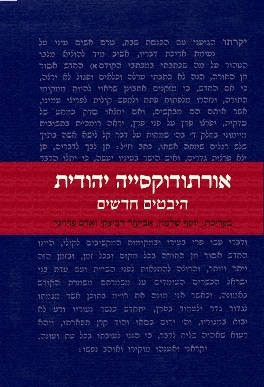 In this book the effort has been to select from the pages of post-Biblical Jewish history the outstanding personalities, to present the life and work of each in such a way as to illustrate the spirit of Judaism in his time, and, in doing this, to analyze and systematize the complex and abstract subject matter so that it may offer the fewest difficulties to the pupil's mind. This fine commentary is based closely on the author's original Hebrew commentary (Am Oved, 1992), with some revision and expansion. A signally important work for anyone seriously concerned with Judaism or Christianity. It may prove to be a seminal work, a work that is interesting to both Jews and Christians. 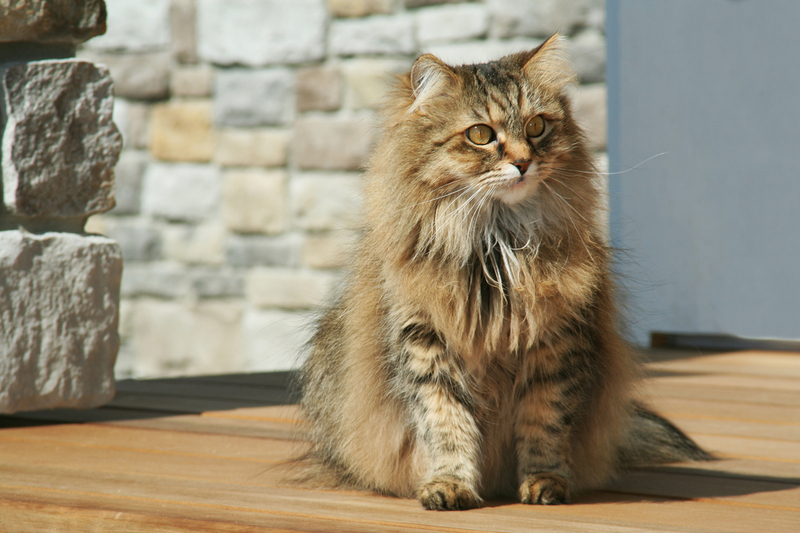 No doubt, it has faults, but a lack of nobility is not one of them. A broad survey of economic and political conditions in Judaea after Destruction of the Second Temple. Electronic edition of the massive commentary on the Book of Job. The commentary, which pays a close attention to early history of social and religious life of Israel. This is the first volume of a monumental survey of the Jewish community in Spain under Moslem rule. (See second and third volumes here). It offers the reader access to a difficult subject. The period is recreated in a narrative that flows with life and vitality...unmatched for scholarship and readability. The second and third volume of a monumental survey of the Jewish community in Spain under Moslem rule. (See first volume here) It offers the reader access to a difficult subject. The period is recreated in a narrative that flows with life and vitality...unmatched for scholarship and readability. One of the earliest historical novels in modern Yiddish literature, Kiddush ha-Shem is a story of Jewish martyrdom during the Chmelnitsky uprising in mid-17th century Ukraine and Poland. The story of the Jewish immigration to the United States of the Levantine Sephardim who entered the United States between 1899 and 1925. Levine ably brings modern scholarship as well as rabbinic commentary to bear when discussing the text in this third book in JPS Torah Commentary series. Extensive collection of anecdotal evidence relating to labor, crafts, and trade as thought of and practiced by Sages of the Second Temple and early exilic period. This is storytelling with a grain of salt and a lot of wit; tales springing from the antiquity of oral tradition, told with sheer delight in the glory of a book transformed by a hundred generations whose daily thoughts and deeds were transformed by The Book. A most remarkable and comprehensive compilation of stories connected to the Hebrew Bible drawn largely on Jewish lore and tradition. It is an indispensable reference on that body of literature known as Midrash, the imaginative retelling and elaboration on Bible stories in which mythological tales about demons and magic co-exist with moralistic stories about the piety of the patriarchs. This volume focuses on some major issues in biblical research. In the studies collected in this volume, the author aims at highlighting salient literary modes which can be identified the books of the Hebrew Bible. The book tells the story of Henrietta Szold`s lost love through her correspondence with Louis Ginzberg and a previously unpublished private journal. First published in 1966, Louis Ginzberg: Keeper of the Law is an unusual biography. It was written by a son about his father, by an interpreter of economics about an interpreter of rabbinics. 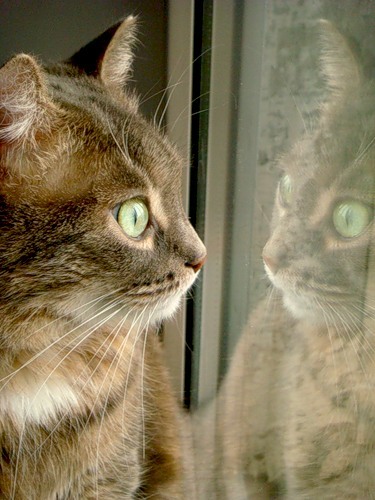 It is done with obvious charm, with deep affection for the subject, and yet with surprising objectivity. The first of a series of books dealing with “Jewish Worthies,” this volume presents the biography of, perhaps, the most famous Jewish thinker of the Middle Ages with special regard to the general history of the period at which he lived. 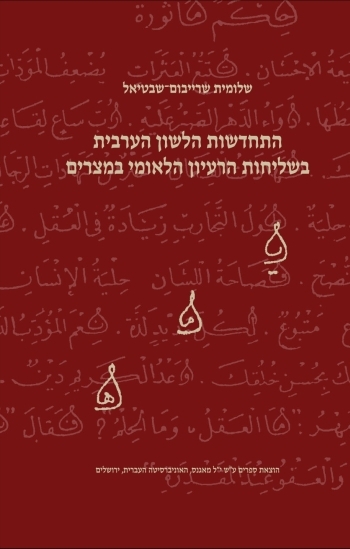 In this original study, noted scholar and theologian David Hartman discusses the relation between Maimonides' halakhic writings and The Guide of the Perplexed. This pioneering work earned Dr. Hartman a National Jewish Book Award for a book on Jewish thought. An electronic edition of JPS's original 3-volume set, based on manuscript and early editions. My Brother`s Keeper: A History of the American Jewish Joint Distribution Committee, 1929-1939. This book deals with the efforts of American Jews - through their overseas aid organization, the American Jewish Joint Distribution Committee - to come the aid of European Jewry in the crucial prewar decade, 1929-1939. A translation of eight of the most interesting narratives found in the Zohar. In addition, the book contains a comprehensive introduction, a glossary, notes, and a bibliography. Critical and Exegetical Commentary on the following Biblical books: Micah, Zephaniah, Nahum, Habakkuk, Obadiah and Joel by John M. P. Smith, William H. Ward, and Julius A. Bewer. 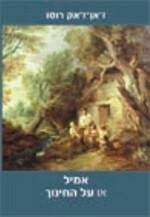 Commentary on the Torah' forth book by one of the most insteresting modern Jewish thinkers. New Heart, New Spirit confronts the ethical and moral values of the Bible in the context of the critical situation that Israel and Zionism are facing. It is an outcry and a challenge to the xenophobic movements focused on “holy wars,” power, land, and blood. Written with admirable clarity of style and thought, this volume of Notes is capable of being read and appreciated by anyone interested in the process by which modern and classical biblical scholarship are fused together to deepen our understanding of the single most significant book in the Jewish tradition. A major work of interpretation, which served--according to Baruch Levin's own words--as “anchor and compass” for his Anchor Bible commentary on Numbers. Gershom Scholem opened up a once esoteric world of Jewish mysticism, the Kabbalah, to concerned students of religion: a tradition of repeated attempts to achieve and portray direct experiences of God. 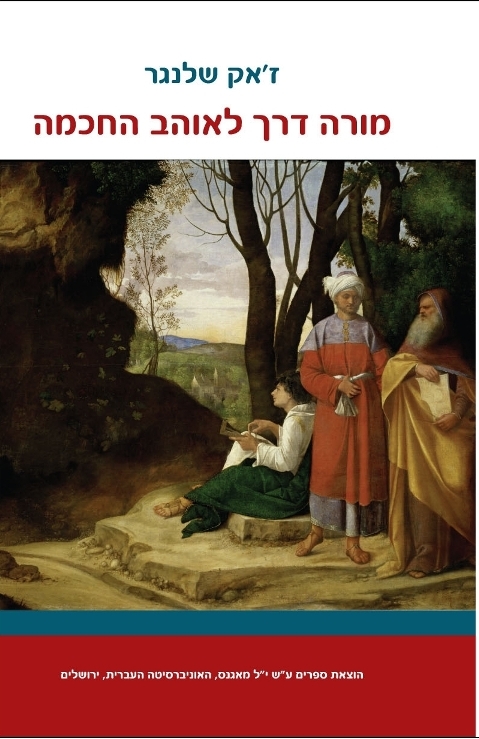 A history of the Kabbalah before the Zohar, this book analyzes the leading ideas of Jewish mysticism up to the period of its classical formulation. A winner of the National Jewish Book Award in 1976, this book is the translation of the Pesikta, a famous collection of midrashim. The Pesikta emerged in a time of deep crisis for the Jewish people, disappeared sometime in the sixteenth century, and was reborn only in the nineteenth century. Kabbalistic midrashic work on Genesis, part of Exodus, and a few sentences of Numbers ascribed to R. Eliezer b. Hyrcanus. "... the crown belongs to Crawford H. Toy's voluminous interpretation of the book of Proverbs"--Rudolf Smend, from " Wisdom in Ancient Israel", Cambridge, 1997. A thoughtful reminder of what is really important in life. This biographical treatise captures the personality of Rabbad of Posquieres or Rabbi Abraham ben David – one of the most creative talmudic scholars of the twelfth century, chronicles his role in the intellectual history of the Jews in southern France during the twelfth century, and outlines his influence on subsequent generations. Renewing the Covenant presents the first systematic statement of theology since Abraham J. Heschel set forth his distinctive, comprehensive philosophy of Judaism. This unique book will long be discussed by thoughtful readers. This book is a Cochin cake, full of secret goodies and unexpected surprises and mysterious tastes, exotic and familiar. Each story told by Ruby Daniel reveals the unique way of life of the Cochin Jews and preserves it for future generations. Winner of the National Jewish Book Award, this book will be a stimulating and rewarding step to exploring and restoring Jewish theology – and faith – at a time when belief is continually challenged and yet so very needed. The gift of song, cherished and tended as it was by the Spanish Jews of the Middle Ages, reached its highest development in the poems of Jehudah Halevi. His love poems are made of dew and fire. But in his poems to Zion there is no such combination of a poet's ordinary artifices. It is his soul that is the instrument—and on his heartstrings is played the song of Israel's hope. Solomon Ibn Gabirol was not only a great poet, but also a great philosopher. His vision was broad and his penetration keen. 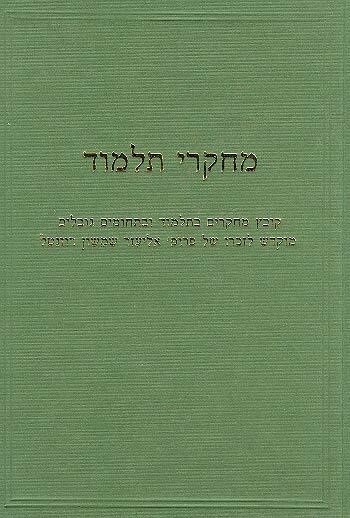 This volume of translations from this rare singer of the Ghetto limits itself to such of his poems as have been incorporated in or designed for the liturgy of the Synagogue. The role played by Spain during World War II regarding the Jews has long been a matter of controversy. 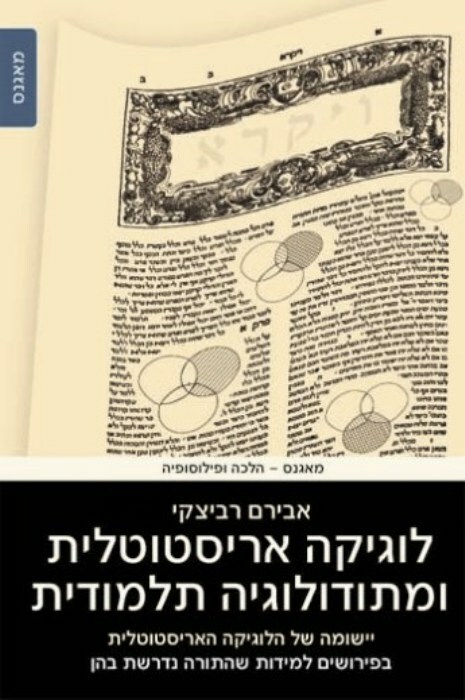 This volume, first published in Hebrew to wide acclaim seeks to set the record straight. It offers a full and objective account of the rescue of Jewish refugees from Nazi-occupied countries by the Franco regime. This five-volume set represents the finest work of the late nineteenth century Biblical scholarship. With the acception of one article, "Tales of the Sage" by Uffenheimer, which concerns with Biblical exegesis, all other contributions approach their material from literary perspective or as a part of investigation into their history. The seventeen articles in this collection, present a true sense of the "Jerusalem School" of Biblical scholarship with its commitment to united the unique heritage of Jewish learning with the methodology and accomplishments of modern biblical research. Each of the twelve articles in this volumes illustrates some state of the development of Hebrew narrative prose: from biblical literature though talmudic-midrashic and medieval eras till modern times. This anthology contains such articles as "The Holy Congregation in Jerusalem" by S. Safrai, "Persecutions and Maryrdom in Hadrian's Days" by M. D. Herr, "The Imperial Court-Jew Wolf Werthheimer as Dimlomatic Mediator" by B. Mevorah, "To whom did Mendelssohn Reply in his Jerusalem", by Jacob Katz, "Caesar: An Economic Biography and its Political Significance" by I. Shatzman and others. The focus of this volume is the state of the Jewish educational research and its impact on practice. History, trends and problems with the Jewish education in America. Deals with concrete issues of the teaching process in schools. The present volume, the fourth in the series Studies in Jewish Education, is dedicated to the subject of curriculum and the teaching of Hebrew. The ninth volume of Studies in Jewish Education examines issues relating to Biblical research and instruction. 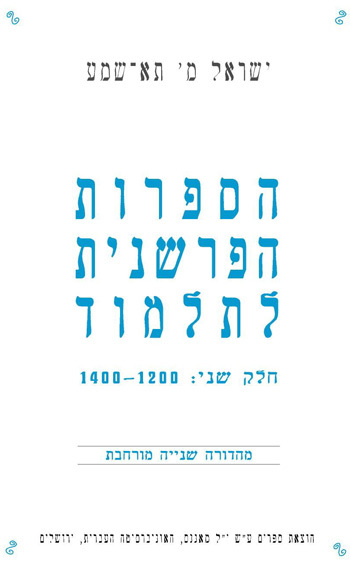 This volume is dedicated to issues arising in the process of teaching classical Jewish texts. The emphasis of this volume is on teaching of Jewish values and the development of the curriculum. THIS VOLUME FOCUSES ON THE PROBLEMS OF TEACHING CLASSICAL RABBINIC TEXTS. 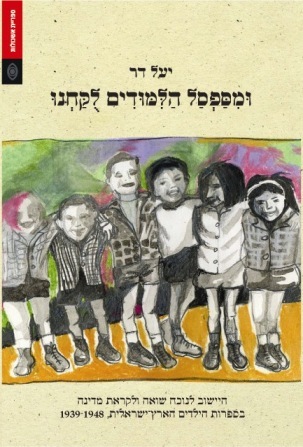 The 10th volume of Studies in Jewish Education reflects the commitment of the Hebrew University in general, and of the Melton Centre in particular, to reflection and research on issues pertaining to Jewish education. The essays and articles appearing in this volume represent the summary of a conference held in honor of Prof. Michael Rosenak on the occasion of his retirement after 33 years of research and teaching at the Melton Centre. 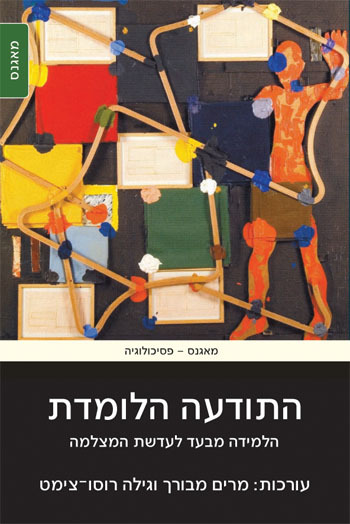 Languages and Literatures in Jewish Education is dedicated to Prof. Michael Rosenak, the founder of the discipline of the Philosophy of Jewish Education. 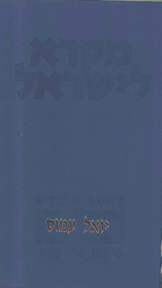 This volume of the Studies in Jewish Education examines the place of the Hebrew language today. This volume is concerned with the possibility of “translating” insights derived from areas of knowledge sometimes thought to be outside the purview of education – to issues and problems on the agenda of educational thinkers, researchers and practitioners. The twenty-one studies on the Jews of Old Poland here collected explore many hitherto uncharted aspects of Jewish life and experience in the Polish-Luthuanian Commonwealth. Joseph Reimer uses his experience and talent as an ethnographer to bring to life the drama of one synagogue's struggle to make Jewish education work. As a result of his classroom observations Reimer comes away with important insights into what makes Jewish education succeed. Continuing the high standards of the JPS Jewish Poetry Series, this volume presents poems that have become twentieth-century classics. 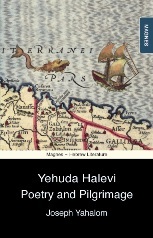 Included are eighty poems printed in English and Hebrew on facing pages. Although there have been other contributions on this subject, this volume still is worth having as it contains most of arguments still serving as a basis for modern Christian mainline (and thus also Jewish Reform) liberalism. A true searchable (offline -- English only; in optional online mode -- both English and Hebrew) replica (including Biblical Hebrew vowel and cantillation marks) of the original 2nd printed edition. It is a MUST for any serious student of The Holy Scriptures and perfect a participant in Bible-study groups. 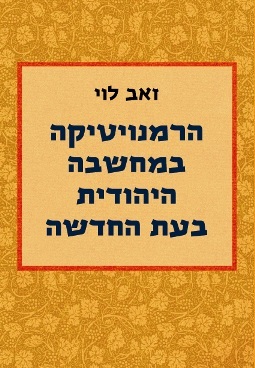 Translated from original Hebrew version of the SEVEN SAGES, this collection of fascinating stories--based on unpublished manuscripts--makes available the complete English translation of Mishle Sendebar, the Hebrew version of an enormously popular medieval romance which originated in the East and was subsequently transmitted westward. 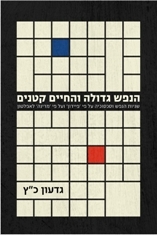 Talmud Yerushalmi: A Concordance of Amoraic Terms, Expressions and Phrases, in 3 vols. A concordance of Amoraic terminology in Talmud Yerushalmi designed to assist to come much closer to the original text of the Yerushalmi and to its accurate interpretation. 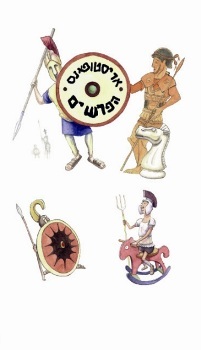 A Study in the development of the Halakha and Haggadah in the Land of Israel and Babylonia. Tanna debe Eliyyahu is a midrashic work thought to have been composed between the third and the tenth centuries. Unlike all the other Midrashim, it is a unified work shaped with a character of its own. This work has never before been translated from the original Hebrew. 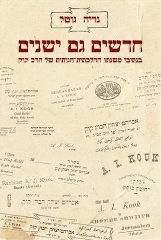 This book depicts the evolution of American Judaism from its European roots illustrating this theme by focusing on special segments of the community and on Jewish political liberalism, the great effort of American Jews to reshape their political environment to minimize the survival-integration tension. Enhanced by fascinating photographs and an epilogue tracing the subsequent lives and military careers of the key participants, Rabinovich's gripping narrative brings the reader to the scene of this brilliant military victory and emotional reunion of a people with their sacred city. 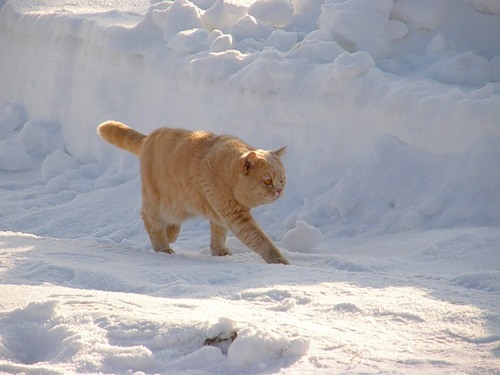 The Birobidzhan Affair is the autobiography, “a chronicle of heart-rending events” recounting Emiot's eight years at hard labor in various work camps in Siberia. Poignant, remarkably understated in tone, it provides evidence of his travails as a Jewish victim of the bitter bureaucracy that was Stalinist Russia. The book contains eight chapters of an absorbing text, including The Book of Delight, A Visit to Hebron, Medieval Mayfaring, and Marriages Are Made in Heaven. The book tells a story of seven Jews who succeeded in escaping the massacre of Jews that followed the Warsaw uprising in 1944. From about September 1944 until January 1945 the author lived with six others in a bunker under inconceivable conditions. Yet they survived. How they managed this is told in The Bunker. The force and individuality of this Book; its consistency and distinctiveness from the other documents of the Pentateuch as well as its differences from much of the custom and practice both in early and later Israel, make it stand out. The Book of Exodus sets before us, as the Hebrews of later ages told it, and in the vivid, picturesque style which the best Jewish historians could always command, the story of the deliverance from Egypt. Few books oner such a variety of interest or embrace material of such deep significance as Ezra and Nehemiah do. The teaching of these books is of especial value in reference to the faithfulness of the divine promise, the discipline of disappointment, the hallowing of common life, and the preparation for the messianic age. 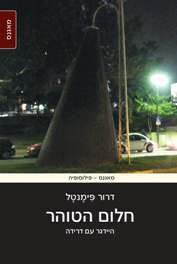 The book begins with description of the early decades of the past century, when American Judaism was still the expression of a religiously united community, and then probes the tensions and new forms of Jewish institutional and personal practice as they resulted from the needs of Jewish experience and from contact with American tradition, ideas and events. A comprehensive literary inquiry into a history of the Exodus tradition as it has evolved through time. The book examines the narrative of Exodus, compares it to biblical sources as well as to information provided in Apocryphic, Pseudepigrahic, Hellenistic and Midrashic documents. This is the full, unabridged text of one of the greatest philosophic works of all time. Written by a 12th-century thinker who was equally active as an original philosopher and as a Biblical and Talmudic scholar, it is both a classic of great historical importance and a work of living signicance today. Joseph Nasi, Duke of Naxos, Lord of Tiberias, was a Marrano or “converse,” knighted by Charles V of the Holy Roman Empire, a jousting partner of Emperor Maximillian, and a court advisor to Suleiman the Magnificent. During his astonishing life as a statesman, financier, and philanthropist in sixteenth-century Europe, he moved across the continent from Antwerp to Paris, to Naples, to Rome, and from there to Constantinople, where he reembraced Judaism. The Jew in the Literature of England sums up a history of the Jew as he was reflected in the literature of a civilization. Modder's sense of incident and detail, his command of a whole literature, his capacity to develop the social history that underpins literature make his study both absorbing and illuminating. The Jewish Community: Its History and Structure to the American Revolution. Vol. I. This is the first volume of the work that is centered on the European Jewish community of the Middle Ages and early modern times. The author offers a comprehensive historical and sociological analysis of the Jewish communal evolution during the Emancipation era. The Jewish Community: Its History and Structure to the American Revolution. Vol. III. This is the third and final volume of the work that is centered on the European Jewish community of the Middle Ages and early modern times. The author offers a comprehensive historical and sociological analysis of the Jewish communal evolution during the Emancipation era. The Jewish Community: Its History and Structure to the American Revolution. Vol.II. The second volume of the work that is centered on the European Jewish community of the Middle Ages and early modern times. The author offers a comprehensive historical and sociological analysis of the Jewish communal evolution during the Emancipation era. The book is a study of the contribution of the Jews to the modern civilization. The Romans and Greeks were originators of a great many elements of our civilization, but the Jews' impact was no less real or lasting. There was a time when Greek and Roman and Jew were in free contact. The results of this contact the author skillfully explores. Norman A. Stillman continues the saga he so eloquently began in his first volume, The Jews of Arab Lands, up through the dramatic events of the twentieth century. This book focuses on the forces, events, and personalities that over the past 150 years have shaped the Jewish communities of the Arab world. The small group of Jewish inhabitants of Charles Town in South Carolina met in 1750 to organize themselves permanently into a religious community. This book tells that community's story down to the present day. It describes the process of adjustment both of the Jews and their religion. This is the story of the adventures and misadventures of the Jewish people in the land of Egypt – shrouded in the mists of biblical history under the Pharaohs; the strange intermezzo of the Jewish mercenary detachment on the island of Elephantine on the upper Nile; the apogee of Jewish culture under the Ptolemies; and, finally, the Jewish community's rapid decline and catastrophic disappearance under Roman rule. This work is a pioneer study of a little-known part of the modern Jewish world that is at once unique and a microcosm of European Jewry as a whole. The story of the Jews of Yugoslavia can be seen as a quest for community, to forge a unity of communal purpose and endeavor. When books survive as long as our biblical collection has survived, a certain discrepancy between intention and comprehension is inevitable. But if we wish to read attentively, we must make the effort to reconstruct the concrete shell of the past as well as its essential spiritual factors. This is exactly what this book gives us. An alternative to Gershom Scholem's view of Kabbalah by one of the greatest Jewish thinkers; a succinct yet much revealing introduction to Jewish mysticism. The Pharisees constituted a religious Order of singular influence in the history of civilization. Judaism, Christianity, and Mohammedanism all derive from this ancient Palestinian Society. 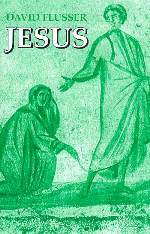 This book uncovers the origins and fundamental aspects of Pharisees' faith from sociological point of view. An interesting presentation of an extraordinary type of correspondence between communities and foremost Jewish authorities during the past fifteen hundred years by which social, economic and religious problems were discussed and solved. 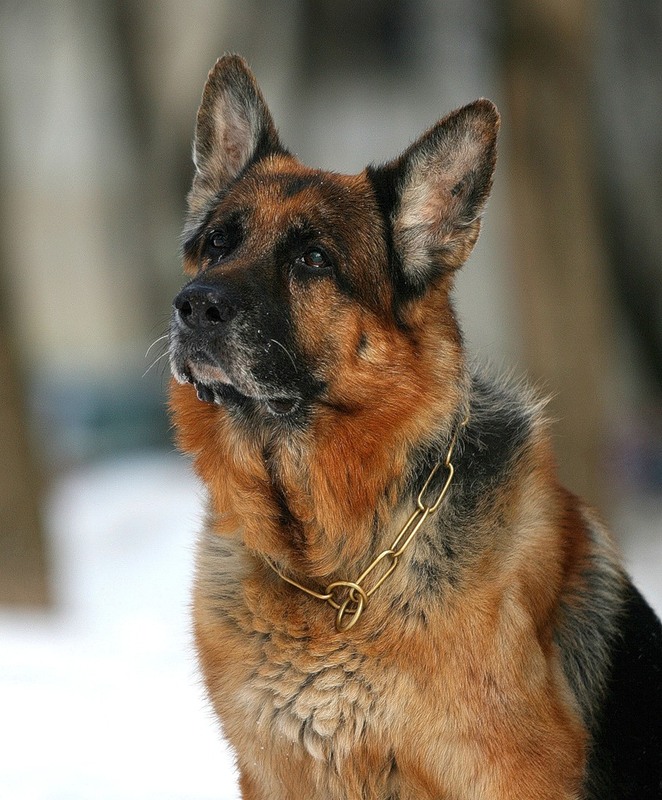 The Shema has been described as the "central watchword" of Jewish faith. 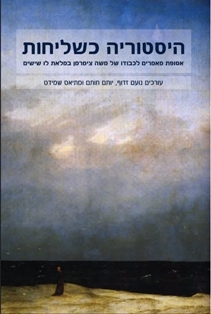 The book represents an extensive commentary on the words of the Shema, drawing upon the wide range of traditional sources and the author's own reflections. Through slow and difficult years of impassioned creative effort, the author has summed up, distilled, symbolized the incomparable tragedy of Jewish people into an essentially poetic form that is clear with a great intellectual clarity, as well as majestic with the grandeur of the theme he treats. This acclaimed new translation of the Torah--the Holy Scriptures of the Jewish people,--was prepared according to the Masoretic Text by the Jewish Publication Society (Philadelphia), world`s oldest Jewish book publisher. Electronic version of it, which is a searchable replica of the printed version was prepared by Varda Books in 2002, with all the latest corrections and revisions having been incorporated. A thought-provoking examination of Jewish social ethics in relation to the mores of contemporary society. In this book, Rabbi Dorff focuses on the social aspects of the Jewish tradition, while tackling such timely topics as war and peace, poverty, intrafaith and interfaith relations, and forgiveness. The 1960s and 1970s were years of turbulent events and historic changes for the Jewish federations of North America. The book▓s title was chosen because unity is the hallmark of the federations. It is this unity that has pervaded the many federation developments in the historic and dramatic years of the 1960s, 1970s, and early 1980s. The most important work of the 20th century giant of Talmudic scholarship. 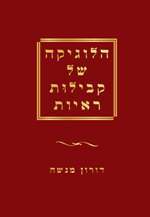 This book presents the first critical edition of the Talmudic text based on a minute collation of all the existing manuscripts and early editions of the Talmud itself, as well as of the Mishnah, Tosefta, the numerous halakic and haggadic Midrashim, the Yerushalmi, and the so-called Minor Tractates. The text is translated and elucidated for the benefit of a wider circle of readers, who are not in a position to study the original. Original and interesting study of the meaning of piety amoung observant Jews of the late Second Temple period. Violence has always existed, and the Jews have been its victims for thousands of years in all parts of the world and in all periods of history. 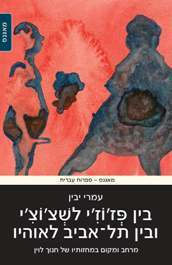 The book presents the fruits of the colloquium on Violence and Defense in Jewish History held in Tel-Aviv in 1974. This book records in diary form the events the author was involved in as an emissary of the Political Department of the Jewish Agency for Palestine to the United Nations Conference, meeting in San Francisco in the late spring and early summer of 1945. The demand for a Jewish state on the official level was first made clear at this conference. Create your own cosmetics for naturally healthy, beautiful and radiant hair, skin and nails! 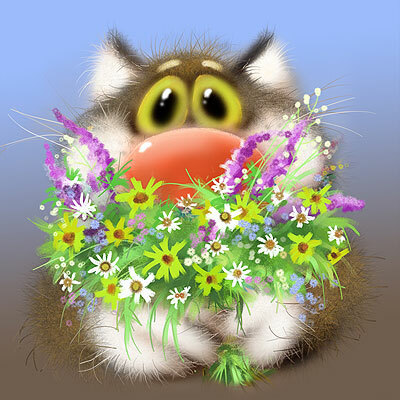 Over 150 recipes for all-natural, economical, allergen-free body care products. Uses therapeutic herbal and all-natural ingredients. Can be used as an introduction to the use of herbs and essential oils. Written by a registered nurse, master gardener, and life-long herb enthusiast. 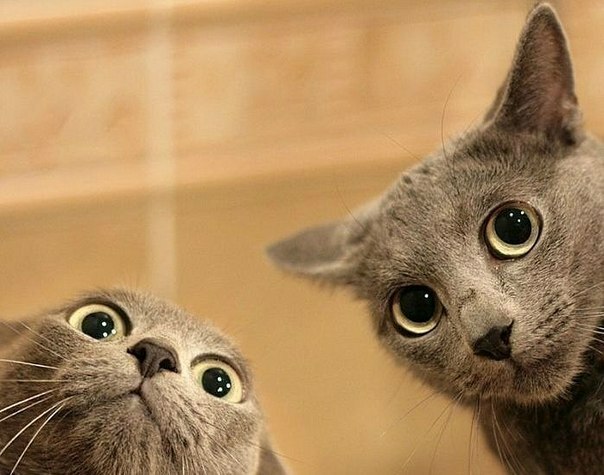 It's like having a personal office visit with two of the most respected natural health physicians! Up-to-date, accurate information on natural treatments for today's most common medical conditions. 200 Gourmet and Homestyle Recipes for the Food Allergic Family! The first cookbook to eliminate all 8 of the top food allergens in every recipe. No Milk, Eggs, Wheat, Soy, Peanuts, Tree Nuts Fish or Shellfish! by Veljko Veljkovich, Mae Wan Ho, Ph.D. This book offers research and clinical support for alternative therapies that appear to be safer, more effective and less costly than the current generation of AIDS pharmaceuticals. Addresses these questions and more: Is AIDS a real disease? Is it a single disease? What is the real extent of the AIDS pandemic? Does HIV cause AIDS? Do conventional anti-HIV drugs work? Are there effective treatments that can be made widely available at affordable costs? This book contains thirty essays on Ancient Near Eastern History and Historiography, spanning the entire range of Mesopotamian history, from Sumer to the Persian Empire. Hitherto unpublished texts, as well as others long known, are investigated anew. The majority of these studies are devoted to the Neo-Assyrian period, the research focus of Hayim Tadmor, to whom this volume is dedicated. This beautifully designed book features a significant number of previously unreleased documents and photographs from the Albert Einstein Archives and links them together with short introductions to chapters about Einstein's private life, his scientific achievements and his political activities. The new volume represents a substantially enlarged English edition of a title originally published as a version to supplement the permanent exhibition on Albert Einstein at the Jewish National and University Library. In 1961 William L. Moran published “The Hebrew Language in Its Northwest Semitic Background” (in The Bible and the Ancient Near East: Essays in Honor of William Foxwell Albright) in which he presented a state-of-the-art description of the linguistic milieu out of which Biblical Hebrew developed. 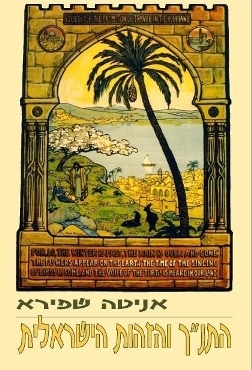 In the light of the significant advances in the study of Biblical Hebrew and Northwest Semitic in the past four decades, the Institute for Advanced Studies of the Hebrew University of Jerusalem convened an international research group during the 2001-2002 academic year on the topic “Biblical Hebrew in Its Northwest Semitic Setting: Typological and Historical Perspectives.” The present volume presents the fruits of the year long collaboration. The articles are based on the lectures that were given during the year. A wide array of subjects are discussed, all of which have implications for the study of Biblical Hebrew and Northwest Semitic. Coping with Crisis focuses on the theme of conflict management and resolution in its many facets: on the level of individuals, families, groups, cities, and countries, in the spheres of environment, economics, law, and politics, and through its representation in literature and the arts. The essays in this three-part volume, grouped into the rubrics of Humanities, Law, and Social Sciences, describe varied modes of response to conflict, presenting both theoretical discussions and many instructive examples of how potentially volatile situations may be avoided or defused. This book, an expanded translation of the Hebrew original, is a penetrating study of early Hebrew prophecy as portrayed in the Old Testament. Professor Uffenheimer discusses the historical, theological and social aspects of this unique phenomenon, from its beginnings to the emergence of classical prophecy in the 8th century BCE – a period stretching from the prophetic leadership of Moses and the charismatic savior-judges, through the court prophets of the United Monarchy, to the militant prophets of the Northern Kingdom, culminating in the internal crisis under Jehu that led to the evolution of classical prophecy. The author draws, on the one hand, upon extra-biblical, Near Eastern material (the Mari documents, Hittie vassal treaties, etc. ); on the other, he relies upon inner literary analysis of the biblical sources themselves. Among other things, he contests some of the innovative theories that have been proposed to account biblical prophecy. Easing into Modern Hebrew Grammar is written for students of Modern Hebrew who are looking for easy-to-understand explanations of Hebrew grammar in English. The topics covered are those studied at the beginning and intermediate levels. Advanced students and teachers will also find the book an important reference tool. Easing into Modern Hebrew is ideal both as an accompaniment to classroom study and as a basis for independent study of Modern Hebrew grammar. This study is an annotated edition and commentary of an Arabic-Old French phrase book found on the last thirteen pages of a Coptic lexicographic treatise compiled in the thirteenth century and recopied in the sixteenth century (MS. BnF Copte 53). The main value of this work is two-fold: first, it is a specimen of the Crusader Old French, of which little has been preserved; and second, it provides evidence for the vernacular language of the period. In the analysis of the material, an attempt has been made to reconstruct from a diachronic-diatopic perspective the vernacular French spoken at Acre in the mid-thirteenth century. This volume will be of interest for Romance linguists and philologists, as well as historians of the Crusades and the Latin East. Arabists and historians of the late medieval Muslim Middle East of this time will also find much of use in this work. Rich and multiform, French influence in the Levant and Palestine was predominant until the end of the First World War. While conferring a particular importance upon its religious establishments, France has also always invested in the development of her economic, scientific, and technological relations with the countries in the region. Marking the beginning of her political disengagement from the Holy Land, the British Mandate period saw, notably, the gradual disappearance of the French language from the cultural life of Palestine. France's return in force to the region would have to await the creation of the State of Israel and decolonization, first as a close friend of Israel, then, after the Six-Day War, as Europe's most active political power in the Middle East. הִנֵּה is a text and workbook that offers an innovative curriculum for the introduction of Biblical Hebrew. The הִנֵּה program balances two major demands of an introductory language program: the reflection of the most frequently occurring lexical and grammatical examples, and the sequencing of the material in a way that will allow for easier teaching and learning. Attention is given to the presentation of the broad picture of how Biblical Hebrew behaves, as well as to imparting the most efficient and effective skills and tools which will allow students to access straight-forward Biblical texts early on. 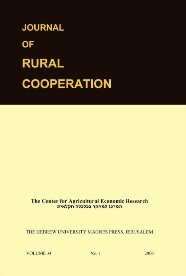 The Journal of Rural Cooperation (JRC) is an interdisciplinary journal focusing on cooperatives and related rural organizations in developed and less developed countries. Topics of particular interest are cooperatives facing trends of globalization and privatization, the web of cooperative-community relationships, and cooperatives as part of such broader systems as mainstream economics, economies in transition, the social economy or related alternative paradigms. In Judaism of the Second Temple Period, Flusser examines the influence of apocalypticism on various Jewish sects. He states that the teachings of Jesus, while reflecting first and foremost the views of the sages, are also influenced by Jewish apocalypticism. 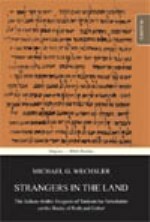 Examining the Essenes, their effect on Hebrew language, the split of sects, and much more, Flusser's collected essays offer an important source of study for any Dead Sea Scrolls scholar. 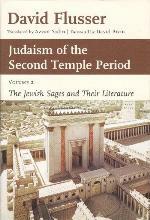 This second volume in Judaism of the Second Temple Period considers why the Book of Daniel was the only apocalyptic work incorporated in the biblical canon. It further addresses the fact that while it is the only apocalyptic book composed before the destruction of the Second Temple, it nonetheless describes events subsequent to the revelation at Sinai. Appears once a year, under the guidance of the French Department of the Hebrew University of Jerusalem. 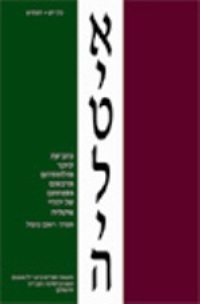 The book Research Ethics, is written by leading researchers from different faculties and departments of the Hebrew University of Jerusalem. The chapters illuminate various ethical issues in research and their theoretical and practical implications. Among the subjects discussed in the book one can find the human personal rights versus the public`s well being, academic freedom and research financed by industries, ethics of scientific publications, and directions and current trends in research ethics. The book includes also chapters which discuss various applications of research ethics such as psychology, genetics and the use of animals and stem cells for research. In addition, six practical illustrative ethical case examples in research practice are analyzed. The book is a challenging reading for researchers and students in universities and other high education institutes, and for whoever thinks that scientific work should be carried out with responsibility and transparency. The 17 articles presented in this volume have been contributed by all members of the Department of Bible, both active and emeriti, and reflect some of the many interests and facets of research pursued within the Department. The reader will encounter here the true sense of the "jerusalem School" - a commitment to biblical studies which strives to unite the unique heritage of Jewish learning with the methodology and accomplishments of modern biblical research. 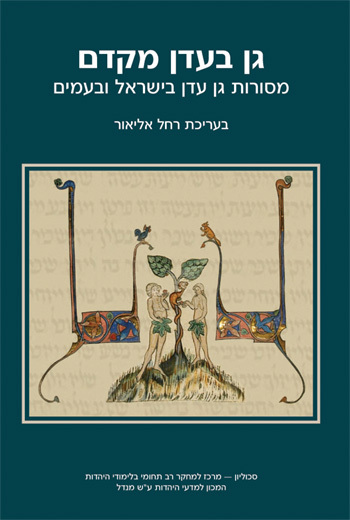 This volume presents a multi-colored picture of narrative art in Hebrew literature throughout the ages. Each of the 12 articles collected illustrates some stage of the development of the types of Hebrew narrative prose in its different periods, from biblical literature through the talmudic-midrashic and medieval eras till modern times. The editors have not considered it their task to adopt any definite view of their own – or even a common outlook among themselves – with any questions treated in this volume, nor to insure that any such view be presented to the reader. It was the design of this collection to bring forward fundamental questions in different branches of law, and at the same moment, to present the various opinions of the contributors. 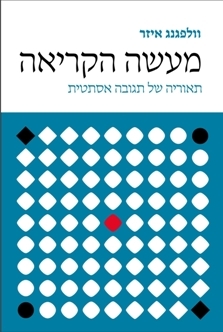 The present volume presents the English reader with a representative selection of current research into Mishnaic Hebrew by Israeli scholars. Twenty-two articles are included in this collection: two introductory essays, which provide a detailed overview of the modern study of Mishnaic Hebrew, as well as twenty more investigations into specific topics of grammar and lexicon. This book tries to present the aim, spirit and content of the Book of Genesis. Most literature in the Book of Genesis consists of either a detailed commentary on the Book or a study of its different sources and components. This work intends, instead, to elucidate the main ideas implicit in the narrative and to describe the salient features of its chief personalities. This book explains in simple and understandable words all the principles, mechanisms of action and advantages of all the treatment modalities at health resort areas. 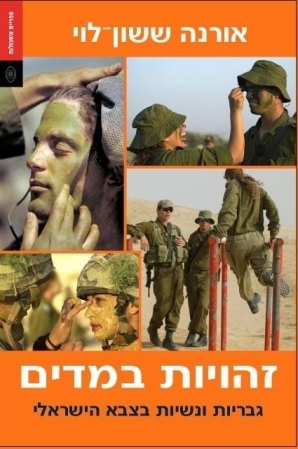 This book describes all the diseases that can be treated successfully at the Dead Sea. and is the first one that was written and directed for the general public. The twenty-five new studies in this volume present the reader with an up-to-date picture of some of the issues and the methodologies that engage scholars of the Ancient Near East. These essays reflect the broad span of the field, both geographically and chronologically, from Sumerian texts of the third millennium BCE, to the town of Nuzi in Iraqi Kurdistan in the mid-second millennium, from there to inquiries into Assyrian and Babylonian documents and inscriptions, as well as into recently recovered Aramaic ostraca from Idumea in southern Israel dating to the fourth century BCE. Rounding off this varied and rich collection are several investigations concerning Ancient Israel and biblical matters. Specialists from Israel, Europe, the United States, Canada and Japan have joined together in this volume to honor Israel Eph‘al, professor emeritus of Jewish History at the Hebrew University of Jerusalem, whose many scholarly achievements are hereby noted. Click to Enlarge For four years between 1982 and 1986 the Jewish Music Research Centre hosted research seminars devoted to the Jewish oral traditions. Researchers in different fields (linguistics, musicology, literature and folklore) met and worked together and dealt with shared material that they approached with their own tools and research habits in the attempt to achieve results of an interdisciplinary type. Several topics were chosen – biblical and post-biblical cantillation; aspects of the Judeo-Spanish folksong; specific rituals of the Hassidic communities and the majority of studies are to be found in the present volume. 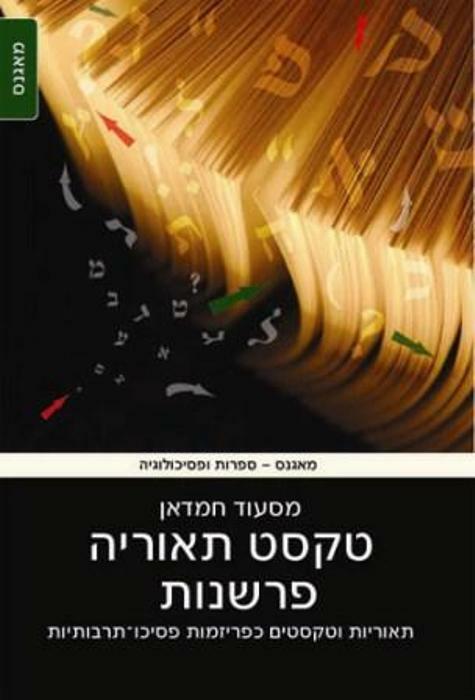 This special collection of studies is dedicated to Prof. Israel Adler, the founder of the Jewish Music Research Centre of the Hebrew University in Jerusalem. 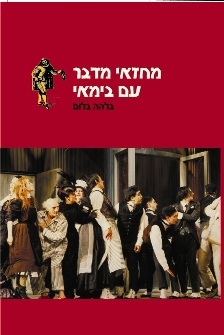 It includes a variety of articles on diverse issues related to different Jewish musical cultures. 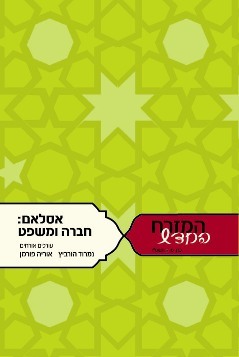 General topics such as the problematic and the development of the concept of Jewish music are discussed in this volume amid specific articles on Ashkenazi and Sephardi liturgical music, kabbalistic writings on music, Jewish composers and performers, the presence of non-Jewish music genres in Jewish musical cultures and more. מהו נרטיב ומדוע הוא נתפס כערוץ מרכזי לחוויות שלנו, לזהויות שלנו ולמשמעויות שאנו מייחסים לעצמנו ולעולמנו? מדוע נדמה כי המושג נרטיב נמצא היום בכל הקשר - אישי, קבוצתי ולאומי? בחוברת תוכן עניינים ותקציר באנגלית. האוניברסיטה העברית בירושלים, הפקולטה למדעי הרוח, המכון למדעי היהדות.